Blazing Speed Trader SCAM Review and investigation. This is a confirmed recycled SCAM and therefore BLACKLISTED in our detailed and factual Blazing Speed Trader review. Originally, this fraudulent software by Johan Strand was named Blazing Trader, and we have written extensively about this cheating auto-trader. It seems that the affiliate crooks behind this latest ripoff attempt believe very strongly that this latest get-rich-quick scheme is an extremely effective way to steal money, and they are correct. If we judge by the complaints our scam alerts desk has received, its plain to see that Blazing Speed Trader is using extremely aggressive baiting tactics in order to trick, mislead, and deceive you. This is an exact replica of the previous Blazing Trader SCAM, and in this context we urge you to refrain from clicking on any links you receive in your email account, as these cyber-crooks are professionals at penetrating inboxes and bypassing SPAM email security protocols. Additionally, if you have been exposed to annoying popups or advertisements, you should know that you are being targeted by con artists. It goes without saying that there is nothing legit or genuine here, so best move on and hold on to your wallet. Keep reading to see why we believe Blazing Speed Trader is a confirmed investment SCAM. Below you will see a screenshot of the Blazing Speed Trader Scam main sales page. Right next to it you will see the same exact actor spewing the exact same lies about the same SCAM. Its also worth pointing out that this actor was also hired to perform for the affiliate marketers and unethical online promoters behind another scam named the Lie Detector Millionaire. Only there his name was Daniel Wilkins, but his job description was the same. Lie through your teeth and get the opportunity seekers on board and depositing with rogue offshore brokers. So the sales pitch starts when Johan Strand offers you $20,000 each and every day for the rest of your life. This money will be cleared and wired to your bank account promptly on a daily basis. He tells us he is a self-made millionaire who will allow you to have a sneak peak into what the future will be like. According to Strand, he developed “Heuristic logic minimizers which are “blazing fast math algorithms” designed to minimize Boolean functions. This is a rigged software and set to take losing trades. The testimonials are fake, and we are witnessing the same lies and fabrications as we did in Blazing Trader. We also have inflated bank accounts, and buckets of hyped up and exaggerated claims of easy money. To top it all off these lazy crooks rehashed an previous narrative and even used a similar name. They also added FAKE NEWS clippings to create a more legit look and feel . Just stay away and never deposit. Take a wild guess. It’s going to cost you ate least $250 to get started, and that money will be charged to your credit card by greedy offshore brokers who care nothing about your financial welfare and will bleed you dry. The ones to watch out for are Quantum Code and Bitcoin Code by Steve McKay. There are several tell signs which you should immediately look out for. Firstly nothing is free. You should know that it’s better to pay than have something offered to you at no cost because someone has to get paid and in most cases its not going to be you. Secondly watch out for the hype. If there is much talk about instant or easy wealth programs then you need to avoid it. Finally, if there is no real person behind it then you need to assume you are being targeted. If you are constantly deliberating and not quite sure about how to proceed then we understand. There are many bogus apps out there and they are all worthless pieces of junk out to get your money. Fortunately our staff of diligent researchers have scrounged the internet and were able to find and compile a short list of consistent money-making machines. These are all proudly showcased in our recommended section. 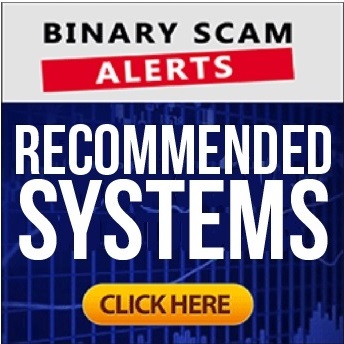 The Blazing Speed Trader is a SCAM and we blacklisted this filthy recycled piece of fraudulent software in our detailed and insightful review. If you believe for one second that you actually have a chance of profiting when investing with the Blazing Speed Trader, then you probably should not be engaged in any form of online trading. We have it from trusted industry sources that the affiliate network behind this insipid scheme specialize in internet and credit card fraud. There is also talk of an extensive criminal record and a checkered past, so please don’t be tempted and don’t say we didn’t warn you because your money will be stolen and that is a guaranteed fact. In light of all the evidence and proof our staff has produced, we are compelled yet again to blacklist the Blazing Speed Trader and advise our members and subscribers to seek alternative and more legit investment avenues. As always, we would like to personally invite you to join our Facebook Group and YouTube Channel and start getting informed.